[NEWS] A new scholarship is now launched exclusively for new BBA-CG students!!! Corporate Governance refers to the system by which companies are directed and controlled. Since the outburst of the global financial crisis and financial reporting scandals, the significance of corporate governance has received increasing attention from the public, the professions and governments. The responsibility of corporate governance rests with the company’s board of directors and corporate officers. Through providing guidance to the board on various corporate governance issues, corporate governance professionals play important roles in guiding, administering and reviewing the board’s performance to ensure compliance with regulatory requirements. 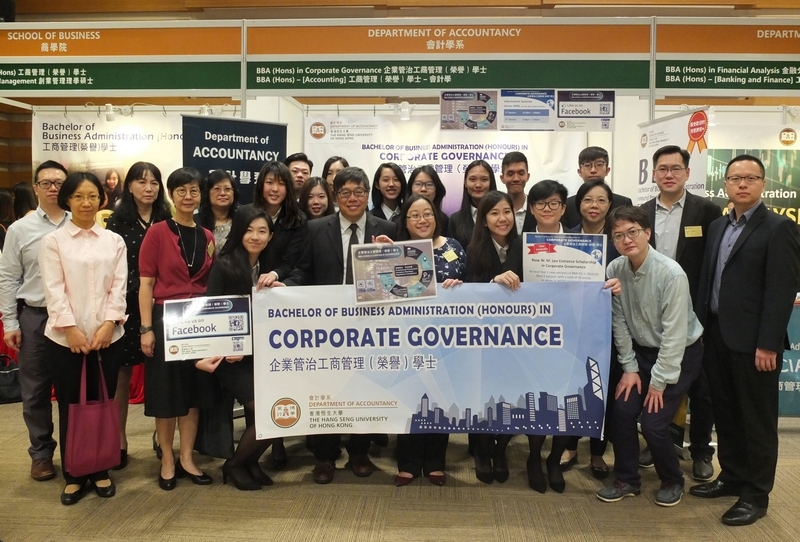 The Programme aims at providing students with necessary knowledge in corporate governance so that graduates are capable of performing the advisory role to the board on corporate governance issues, and are prepared for their career development as corporate governance professionals. Upon completion of the Programme, graduates would develop an understanding of the laws and regulations in corporate governance and recognise best practices for the purpose of regulatory compliance. They would be able to integrate and apply knowledge of good corporate governance practices and help to execute a regulatory system in support of board functions. Also, it is expected that they can identify the roles and responsibilities of corporate officers and perform with a sense of ethicality and professionalism. identify the roles and responsibilities of corporate officers and perform with a sense of ethicality and professionalism. 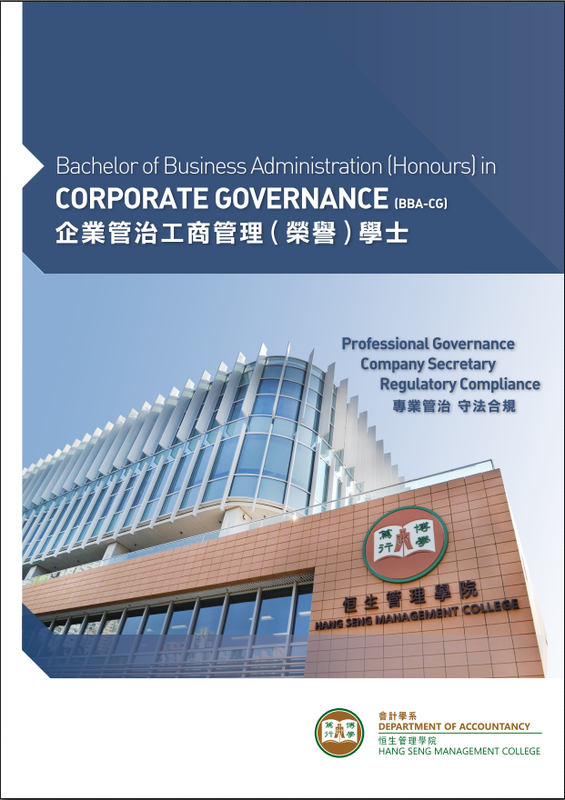 Bachelor of Business Administration (Honours) in Corporate Governance is recognized under the Qualifications Framework (QF).